You Asked, We Answered- FREE Professional Development, Teachers! Spring is fast approaching and with it, more great local workshops for parents, educators and families. Check out the new line up of Spring Workshops from PALNYC and then head over to the Spring 2015 Calendar of Events for a complete listing of other great local workshops and conferences happening this Spring. Breaking Through Walls- Breakthroughs in Twice Exceptional Education Conference & Gala with The Quad Preparatory School – As the first and only NYC conference focusing exclusively on Twice Exceptional children, this national conference, hosted by The Quad Preparatory School, will bring together cutting-edge Twice Exceptional providers including physicians; educators; psychologists; therapists; lawyers; and advocates; children who are gifted and learn differently, and their parents. For more information and to buy tickets, visit the event page. Mark your Calendars for Saturday, October 26, 2013! It’s time to Collaborate, Innovate and Educate for the benefit of NYC’s high potential youth. 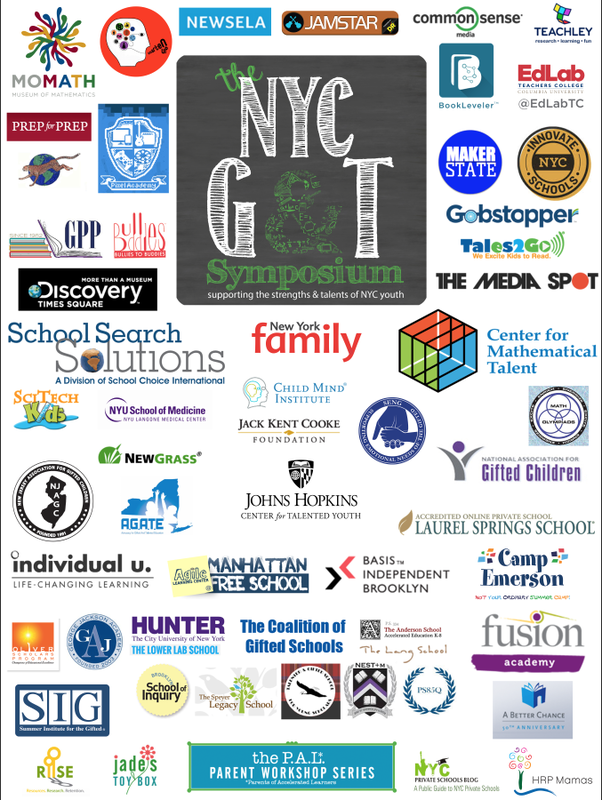 The NYC Gifted & Talented Symposium, a one-day symposium, is the first of its kind- a collaborative effort, reaching across university and school boundaries, past politicians and beyond bureaucracy. It’s about parents and educators, principals, university department heads, ed tech experts, mental health professionals and specialists working together in the best interest of New York City youth. NYCG&T_FLIER and share with others. The NYC Gifted and Talented Symposium features keynote speaker Carol S. Dweck, PhD., one of the world’s leading researchers in the field of motivation whose widely acclaimed book Mindset: The New Psychology of Success explores how people succeed and how to foster success. 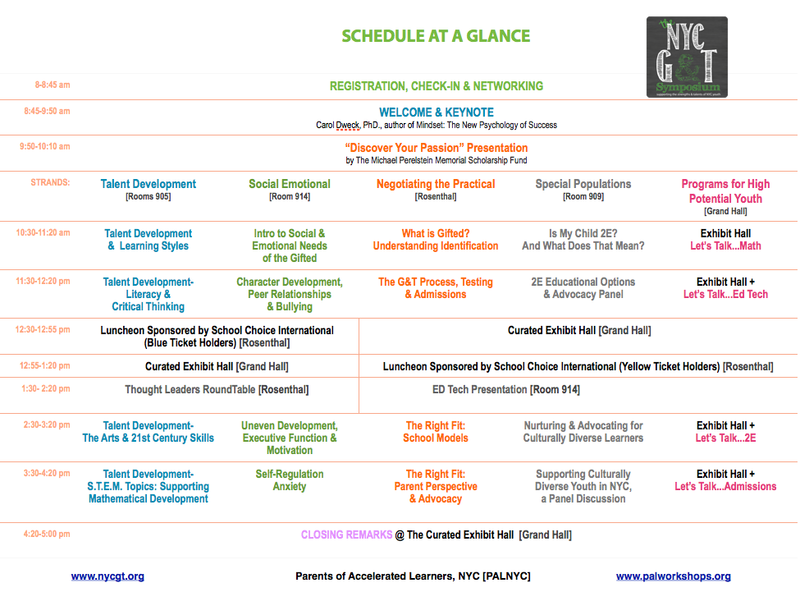 Four strands of sessions include experts on talent development, social and emotional issues, the G&T process in NYC and supporting and advocating for twice exceptional and culturally diverse learners. A Curated Exhibit Hall offers a sampling of NYC’s best schools, programs and services for high potential youth, while the Education Technology ‘Ed Tech’ Discovery Showcase provides opportunities to explore web and app-based learning tools to support children and students. The Thought Leaders Roundtable discussion includes NYC’s most knowledgable and influential leaders in education. Parents and educators, principals, university department heads, mental health professionals, education researchers, ed tech specialists, consultants, school counselors, pediatricians and pediatric dentists, school nurses, and more. The content is relevant for parents and professionals from Pre-K through middle school. There is something for everyone… Do you suspect advanced ability in your child but you’re not sure how best to support it? Want the inside scoop for getting your child into a Gifted & Talented program? 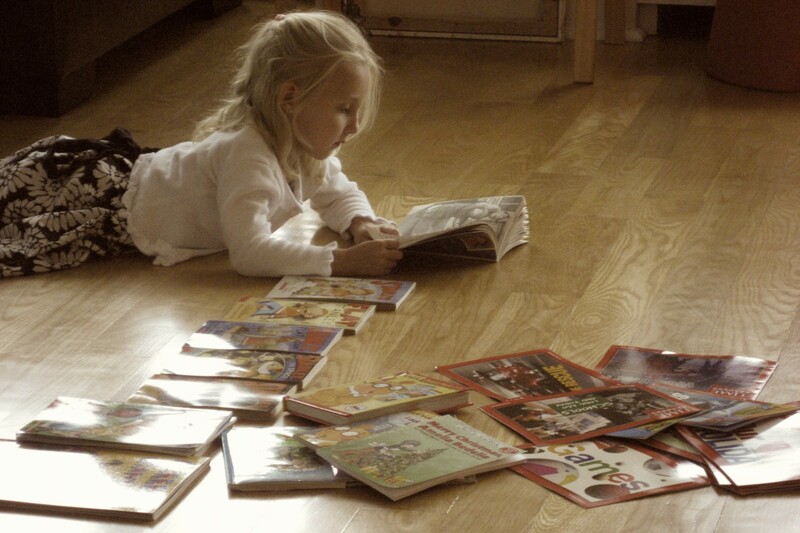 Want to know if there is a better school fit for your child’s learning style? Need resources for supporting the talent development and passion area of your budding computer programmer, math wiz or entrepreneur? Want a richer understanding of what it means to raise a gifted child- the perfectionism, the potential for underachievement and uneven development? Looking for ways to individualize and differentiate learning in your classroom with mixed ability kids? Or want better tools to connect what’s happening in the classroom to kids and parents for better engagement? Finally, NYC parents and educators have a one-stop shop to discover schools, online programs, services, resources and education technology dedicated to supporting the academic, social and emotional needs of high potential youth. The NYC Gifted & Talented Symposium on October 26, 2013 at NYU’s Kimmel Center is a collaborative effort of Parents of Accelerated Learners, NYC, (PALNYC), The Center for Mathematical Talent at Courant Institute, The Coalition of Gifted Schools (Hunter, TAG, NEST + M, Brooklyn School of Inquiry, PS85, Anderson, Lower Lab, The Lang School and Speyer Legacy School), Advocacy for Gifted and Talented Education (AGATE), Social and Emotional Needs of Gifted (SENG), National Association for Gifted Children (NAGC), School Search Solutions, Johns Hopkins Center for Talented Youth and many more. If you’ve read How Children Succeed, Outliers or Creating Innovators, you won’t want to miss our keynote speaker Carol S. Dweck, who literally wrote the book on understanding motivation and success. In addition, four strands of sessions cover all the bases- talent development, social and emotional development, negotiating the practical and supporting twice exceptional and culturally diverse learners. And don’t miss the Thought Leaders Roundtable, moderated by Sophia Hollander from the Wall Street Journal, that aims to redefine how we as a community of stakeholders can better support our high potential youth when we work in collaboration. Think your job is done once you find the right school for your kid? Think again. Our experts from Child Mind Institute and the Child Study Center at NYU join us to share insight into the common issues that our kids face or need to master- anxiety, bullying, resilience, self-regulation and more. The one-day symposium includes: experts on talent development, social and emotional issues – anxiety, resilience, motivation and character development; twice exceptionality and advocating for diverse learners; panel discussions on finding the right school; resources including a curated selection of NYC’s best programs and education technologies; and guidance to understand the arduous G&T path in NYC, including testing, admissions and school options. Support the cognitive, social and emotional needs of high ability kids, 2E and diverse learners with advice from our featured presenters. Choose from any session within four strands that include: Talent Development, Social & Emotional Support, Negotiating the Practical & Supporting 2E & Diverse Learners and become stronger advocates for your child or student’s needs. Collaborate and network with like-minded parents, principals, teachers, education consultants and specialists from some of NYC’s top programs for high potential children. A Curated Exhibit Hall to discover local and online programs specifically focused on the talent and ability areas of your child, whether their passion is art, reading, math, animals, architecture, music, chess, dance, sports, coding, game design, entrepreneurship, theater or zoology. Education Technology (ED Tech) Discovery Platform with a hands-on opportunity to explore web and app-based learning tools to better support at home and differentiate in school. Thought Leaders Roundtable THINK TANK includes NYC’s thought leaders in educating high potential youth and sharing best practices. Join the conversation to understand how we may work together to provide the best foundation and continued support for all of NYC’s high potential youth. So join us Saturday, October 26 from 8 am- 5pm, to COLLABORATE, INNOVATE, & EDUCATE for NYC’s high potential youth. For more details, see the NYCGT Event Site and download the Mobile App (COMING SOON). Download the NYC G&T Brochure; The NYC G&T Press Release; Parent Letter or Prospectus. To learn more about the event, visit nycgt.org or www.palworkshops.wordpress.com. Download the NYC G&T Program, Session & Speaker details here.